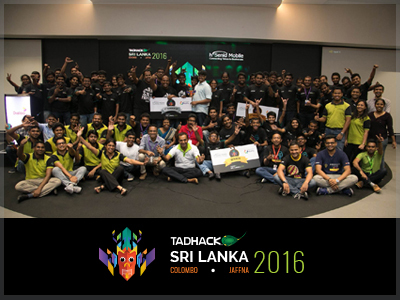 TADHack, the world’s largest telco application development hackathon and the only meeting place for telco application developers to share, learn, code and innovate was successfully concluded across 30 different countries recently. 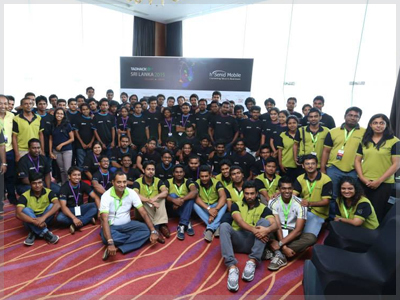 This international event was conducted simultaneously on a single weekend, connecting Telco developers, partners and sponsors via the Internet. 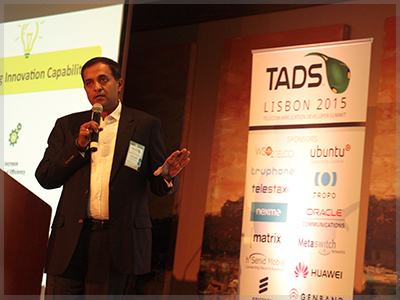 TADSummit (TADS) 2015 kicked off in Lisbon, Portugal on 17 November with a focus on building the telecom application developer ecosystem. 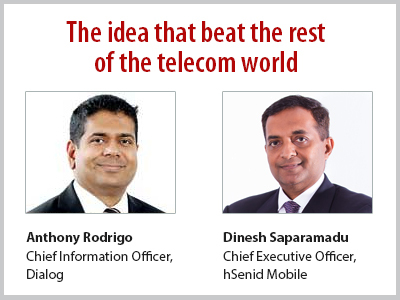 Attended by representatives from all around the world, hSenid Mobile Solutions Chairman Dinesh Saparamadu was one of the key speakers at this internationally recognised event. 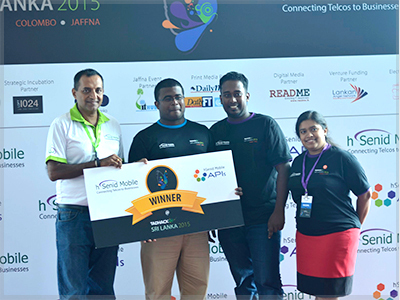 Organised by hSenid Mobile Solutions, this year TADHack held in Sri Lanka at two locations (Colombo & Jaffna) on June 13th-14th, was the local leg of the international event, where the winner from Sri Lanka joined international teams in competition for a US$ 36,000 ultimate prize. 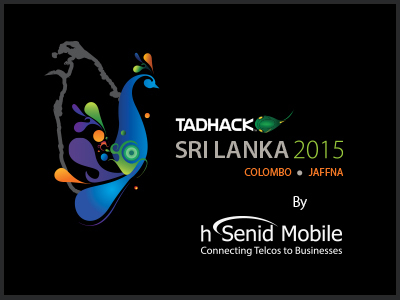 hSenid Mobile Solutions hosted TADHack 2015, the biggest international telco application development hackathon, which was successfully concluded last weekend (13-14 June), bringing numerous innovative and creative ideas to the limelight. Hsenid Mobile Solutions together with Orange Electric showcased the innovative Cellular M2M box to be released later this year. The Cellular M2M will allow developers to create more services using telco infrastructure in the sphere of Internet of Things (IoT). hSenid Mobile conducted a meet-up for the leading enterprises of the corporate sector as a preliminary event leading to TADHack 2015. This awareness session was on hSenid Mobile’s Telco Application Platform which acts as an enabler facilitating them to create services to solve their operational bottlenecks. At this event hSenid Mobile also introduced the hSenid Mobile API family to the corporates. 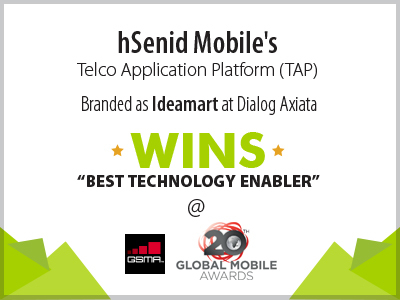 Dialog with the help of hSenid as their mobile technology solutions provider, had turned around the entire mobile app developer eco-system in Sri Lanka. With more than 3,500 apps, 2,000+ developers and over 100 start ups; Ideamart was powering the next wave of telco start ups in the country. 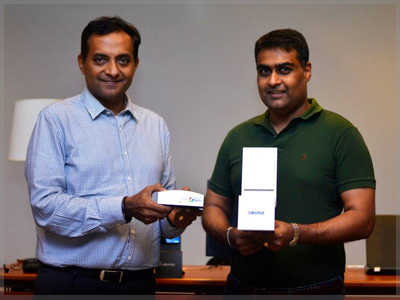 Sri Lanka’s premier telecommunications service provider, Dialog Axiata PLC, won the world award for Best Technology Enabler at the 20th Global Mobile Awards held in Barcelona, Spain last month for its revolutionary IdeaMart mobile application development platform. The Global Mobile Awards 2015 took place on 3rd of March 2015 at the Mobile World Congress (MWC) held in Barcelona. 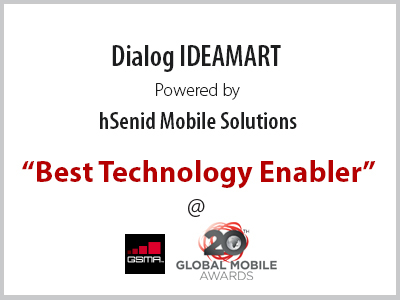 hSenid Mobile’s Telco Application Platform which is branded at Dialog as Ideamart won the award for Best Technology Enabler which was one of the prominent awards of the ceremony. 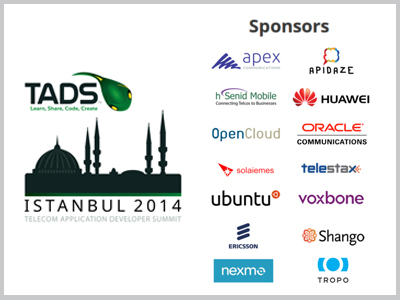 hSenid Mobile yesterday showcased the success stories of API management platform deployments with multiple operators and launched WebRTC APIs for its Telco Application Platform (TAP) at the Telecom Application Developer Summit (TADS) 2014 in Istanbul, Turkey. 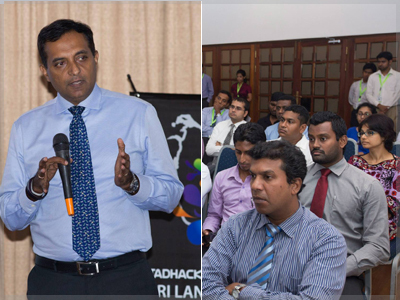 In this pre-departure interview, hSenid CEO Dinesh Saparamadu explains the objectives and value of the TAD Summit to local entrepreneurs. 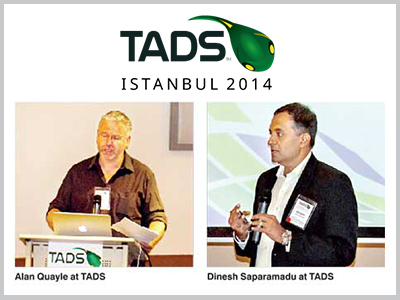 The TAD Summit 2014 will be held on 12/13 November at Istanbul. hSenid will be sending a seven-member team to participate in this prestigious telecommunications event.